Improves working memory, attention, concentration and intellectual performance. Helpful for performing boring, repetitive tasks. The term « nootropic » refers to various substances, both medicinal and nutritional, that are characterised by an ability to help the body adapt better to life’s challenges by improving everyday motivation and decision-making, and in particular, by enhancing cognitive and neurosensory processes as a whole. • Calming and relaxing, nootropic substances can help remove inhibitions but do not produce an excito-motory effect. Substantial levels of natural nootropics are found in coffee and dark chocolate which explains these foods’ marked stimulant and invigorating effects. • Alongside natural substances, a number of speciality pharmaceuticals are prescribed in this context (in particular, racetams in various forms and dihydroergotoxin) to improve GABAergic, cholinergic and glutamatergic neurotransmissions and thus improve learning and speed up processing of intra and inter-hemispheric information. 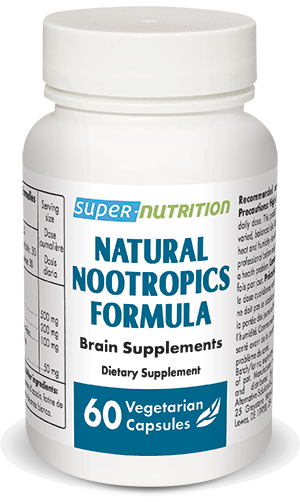 • Natural Nootropics Formula is a totally natural formulation combining proven nootropic ingredients that work synergistically. • Phenylethylamine is a monoamine alkaloid - an endogenous neuroamine - produced naturally in the brain from an essential amino acid, phenylalanine. • Small amounts are found in cocoa, and thus dark chocolate, as well as in a blue-green algae, Aphanizomenon flos-aquae (Klamath). • Taken orally, it crosses the blood-brain barrier easily, quickly becoming available in the brain where it increases concentrations of both norepinephrine (a natural stimulant) and in particular dopamine, by stimulating dopaminergic neurons. 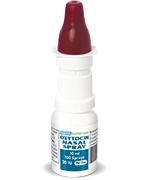 Taking phenylethylamine thus produces a sense of well-being within a very short time. • This substance, described as the ‘love drug’ because it is generated abundantly in the brain at times of intense joy or passionate debate, has a strong anti-depressant effect. Levels are considerably higher in the brains of long-distance runners, which may explain the anti-depressant effects of endurance exercise. • Markedly absent in depressed individuals, it therefore represents a natural, physiological treatment for depression. In 60% of cases, it improves symptoms of depression within days or even hours, in a similar way to Prozac®, but without the latter’s contraindications, addictive properties or side-effects. It improves mood faster than amphetamines and is also particularly effective against bi-polar depression. • Phenylethylamine is also being investigated both for its appetite-reducing benefits resulting from dopamine-modulatory effects, and as a treatment for attention deficit disorder. • It can also be used by healthy individuals looking to improve their intellectual performance, sensitivity, libido and feelings of sensuality. • Its bioavailability and effect have been further enhanced in this innovative formulation by the addition of hordenine, caffeine and L-theanine. • It is now well-established that drinking tea, either green or black, provides the body with antioxidant protection. What is less well known is that tea-leaves contain an amino acid called L-theanine shown to be highly effective at relaxing the body, without causing drowsiness. • Isolated by Japanese scientists in the middle of the last century, L-theanine was quickly identified by researchers as being able to promote both relaxation and alertness. L-theanine has a positive effect on electro-impulse waves, particularly the generation of alpha waves, produced during massages or warm baths, for example. It does not cause drowsiness because it does not generate theta waves. • L-theanine is not sleep-inducing but influences the release of various neurotransmitters in the brain - dopamine, serotonin and GABA - which produce feelings of relaxation, regulate mood and promote a sense of well-being. • While it does not have a truly sedative effect, it induces a deeper, better quality sleep without, however, increasing sleep duration or causing a ‘foggy’ feeling on waking. • Those who feel constantly tired for no reason may also benefit from taking this substance. A dose of 200mg a day of L-theanine for a week not only produced an increase in alpha waves but also a reduction in fatigue scores, particularly in the most anxious subjects. • In addition, studies on mice and rats have shown that it may affect concentration, mental alertness, and learning and memory faculties. At times of intense stress, taking L-theanine may improve learning and memorising ability. • Caffeine is part of the methylxanthine family. It is found naturally in over sixty plants, such as coffee, tea, kola nuts, guarana and yerba mate. A cup of filter coffee contains 50mg on average. Once ingested, caffeine is rapidly and completely absorbed from the digestive tract and distributed around the body. 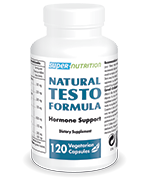 It is metabolised in the liver, essentially by the cytochrome P450 and de-methylated into paraxanthine, theobromine and theophylline. It crosses the blood-brain barrier easily and its main action is the competitive antagonism of adenosine A1 and A2 receptors. • It thus stimulates the nervous system, via adrenaline and noradrenaline networks, which increases alertness, intellectual activity and creativity, concentration, and memorisation. • Hordenine, or dimethylaminoethylphenol, is an alkaloid from the phenylethylamine group, extracted from barley seeds. 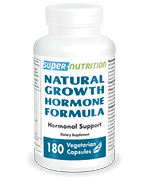 • It promotes the release of noradrenaline and as a result, improves alertness, attention and learning. Similar to phenylethylamine and caffeine, it significantly boosts the effects of both these substances. • It provides renewed energy and also helps improve sports performance. 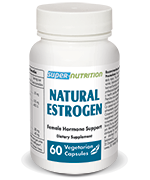 Through its effect on metabolism, it also helps increase the burning of fat reserves. Taking just two capsules a day of Natural Nootropics Formula ensures an optimal intake of natural nootropic substances, enabling you to deal with stressful situations, optimize cognitive and creative processes and maintain active motivation and alertness. Adults. Take one capsule twice a day.